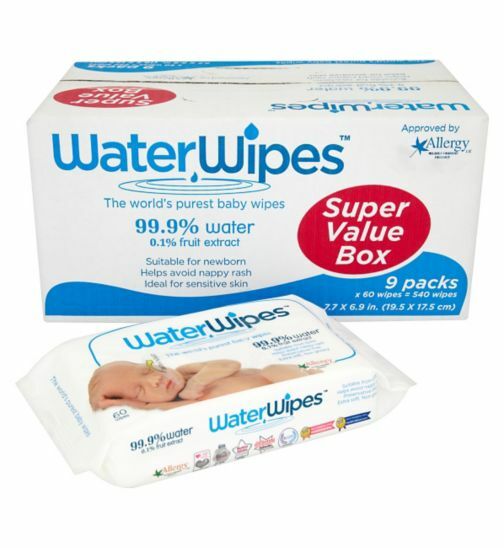 Boots have a great deal on WaterWipes at the moment – 9x packs for just £13.99 (works out at just £1.55 per pack, which is great value for these awesome wipes). You get 60 wipes in each pack. I really like using these wipes at the moment; they’re the only wipes suitable for newborn babies, and are the only wipes that contain no chemicals (they are 99.9% water plus a tiny drop of natural ingredients).